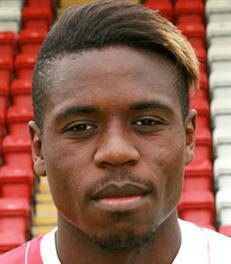 Elton N’Gwatala is a young French midfielder who signed for the Harriers in December 2015. He started his football as a scholar with Paris St.Germain until he was thirteen. Later he joined two clubs near Paris: Chambly and Beauvais. During his time with the Harriers he became a regular in the starting eleven and scored ten goals for us. Following our failure in the play-offs it was obvious that many players would leave the club and it was no surprise when he said that he would be leaving us in June 2017 for an un-named League One club. Sadly for Elton, but brilliant for us, he then changed his mind and decided to sign a further one year contract with the club in July 2017. We would only see him for one more season though and at the end of the following season he signed for Scottish Premier side Dundee FC. His time there was short and after fourteen games he fell out of favour with their new manager and his contract was cancelled in January 2019.